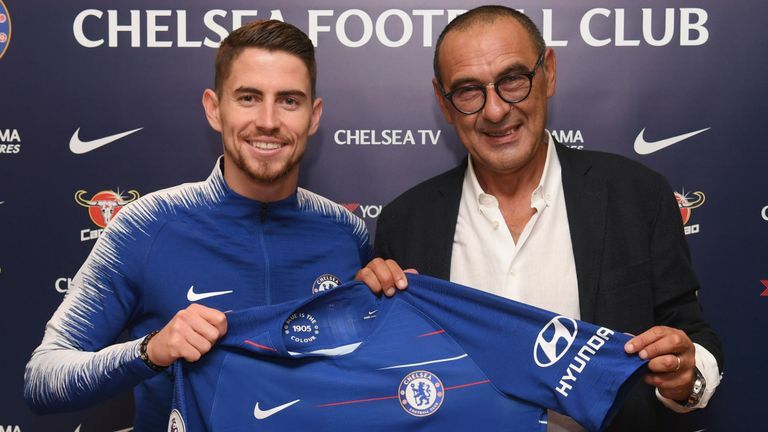 Chelsea have completed the signing of Italy international Jorginho from Napoli. The 26-year-old has agreed a five-year contract and will join his former Napoli boss Maurizio Sarri at Stamford Bridge, having previously been linked with a move to Premier League champions Manchester City. Jorginho - who will wear the No 5 shirt at Chelsea - has eight Italy caps and made over 100 appearances for Napoli, who signed him at the start of 2014.